"It’s almost like a sleeping megalopolis has been suddenly awakened and people emerge from its gazillion honeycomb cells relentlessly": This week's diary takes you to the streets of Calcutta during Durga puja. Given the obstacles lined up against her, no one knows when Bani Singh’s documentary would see the light of day. 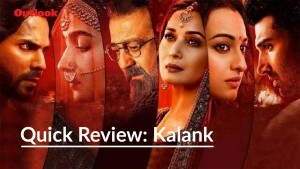 Instead of the raw emotions—and the jagged backcloth here—that propel players towards achievements, will India have to stay con­tent with another fictionalised, unsatisfactorily executed Bolly­w­ood period drama? Does Karnataka Experiment Sow The Seed Of A Future National Coalition For 2019? Will the newfound bonhomie between Congress, JD(S) last?